826) In Love & Respect ..! Which is most needed Love or Respect ... If you have 2 choices only; would you live with someone who loves you but doesn't respect you enough, or someone who loves you but doesn't love you enough? Dr. Emerson Eggerichs says: "We believe love best motivates a woman and respect most powerfully motivates a man. Research reveals that during marital conflict a husband most often reacts when feeling disrespected and a wife reacts when feeling unloved. We asked 7,000 people this question: when you are in a conflict with your spouse or significant other, do you feel unloved or disrespected? 83% of the men said "disrespected." 72% of the women said, "unloved." Though we all need love and respect equally, the felt need differs during conflict, and this difference is as different as pink is from blue!" I personally if I cant have both as much, then I would choose Respect over love, as love can't stand for feeling disrespected (and that is a relative word from one person to another). If I don't feel respected, I can't even express love and care. 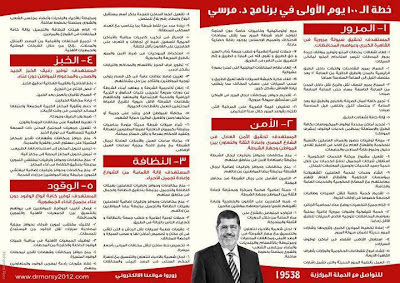 825) Morsy 3ala el Korsy ! So today Egypt is finally having a civil and elected president. 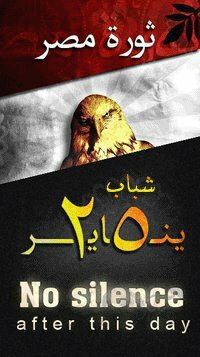 Congratulations to President Morsy.. Although I am not a fan of him, and anti-ekhwan all the way, but I pray for him to be able to lead the country through these hard times. I will support him when he needs it and will criticize him when he deserves it. In this occasion, I am posting his own promises for the first 100 days of his presidency (1/7 to 10/10) so that we can keep an eye on what he did and what he didnt achieve. This will be an indicator about his presidency term (if he will make till the end). You can follow that up on http://morsimeter.com/ as well. It was so Ironic that Mubarak moves from Torah to Military Hospital in Maadi, and the Parliament is dissolved so Morsy has to oath in Constitutional Court in Maadi next to the Hospital ending up with the old convicted president and new elected president couple of meters away !! P.S. I just hope that one day we aren't gonna say President "Mohamed Morsy Mubarak" .. !